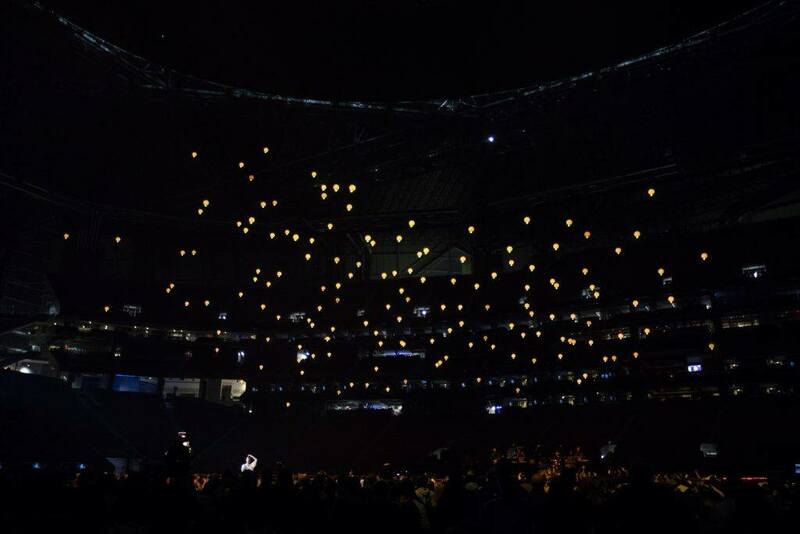 One hundred fifty enhanced Intel® Shooting Star™ drones took a live flight during the Pepsi* Super Bowl LIII Halftime Show to amplify Maroon 5’s performance. Intel® True View™ captures volumetric content to let fans see key plays from multiple angles and players’ points of view. 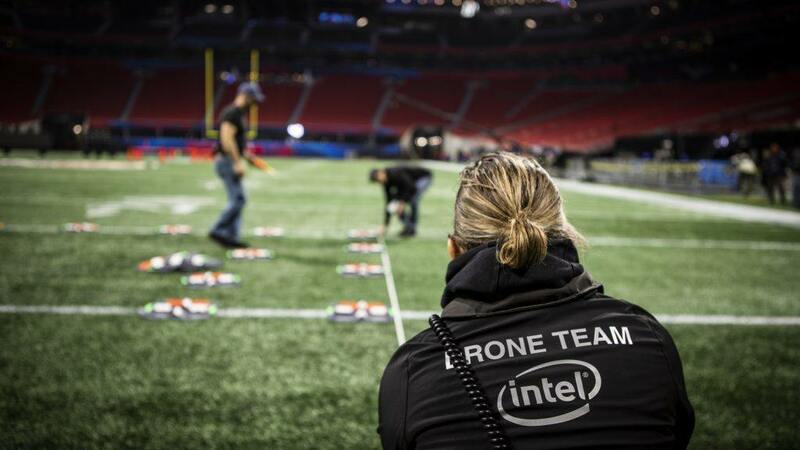 ATLANTA, Feb. 3, 2019 – Today during the Super Bowl, Intel Corporation partnered with the NFL* to create the first-ever live drone light show during a Super Bowl Halftime Show. 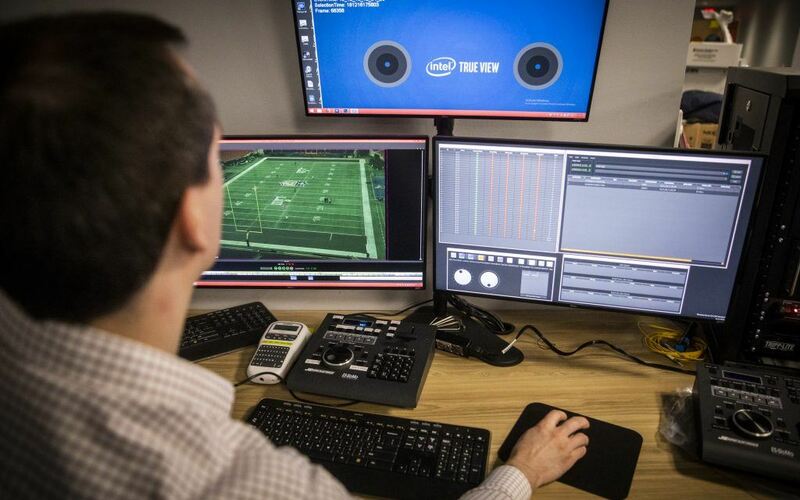 Intel and the NFL will also make advanced Intel® True View™ highlights available for fans to relive the most exciting moments of the biggest game of the year. 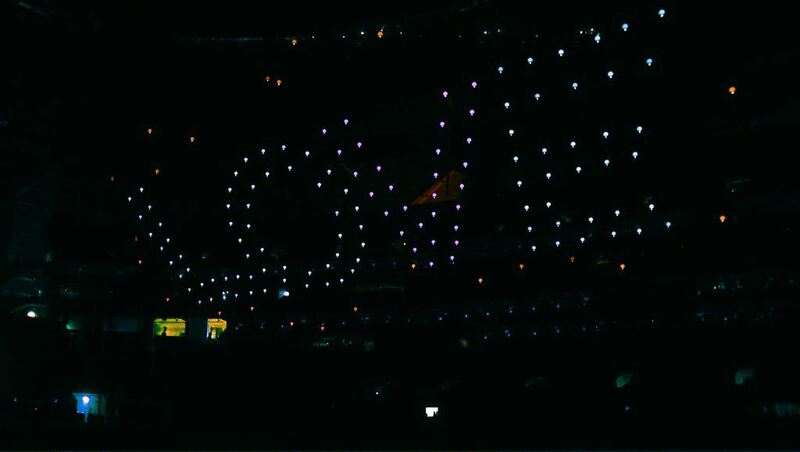 As Maroon 5 began the song “She Will Be Loved,” 150 enhanced Intel Shooting Star drones floated up and over the field in a choreographed performance to the music to form the words “ONE” and “LOVE.” Intel enhanced the Intel Shooting Star drones specifically for the Pepsi Super Bowl Halftime Show to emulate the experience of floating lanterns. 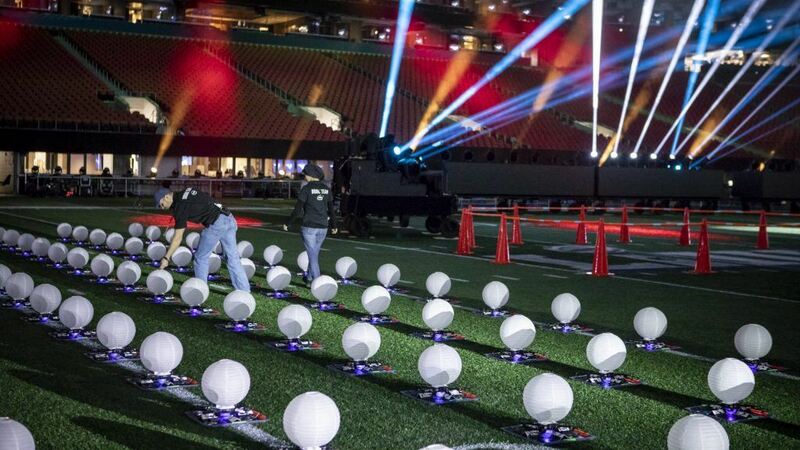 The drones were also enabled to successfully fly a pre-programmed path inside a closed stadium environment without GPS. Additionally, the 150 drones flown indoors exceed the world record that Intel earned flying 110 indoor drones at CES in 2018. 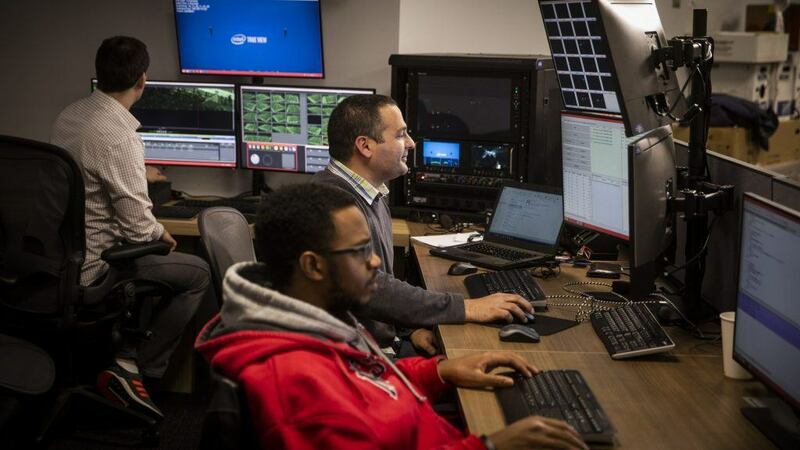 As an Official Technology Provider for the NFL, Intel installed Intel True View in 13 NFL stadiums, including Super Bowl LIII host Mercedes-Benz Stadium. Volumetric capture is enabling immersive experiences that bring the game to life from every angle, allowing fans to analyze key plays with multi-angle views, including through the eyes of the players. 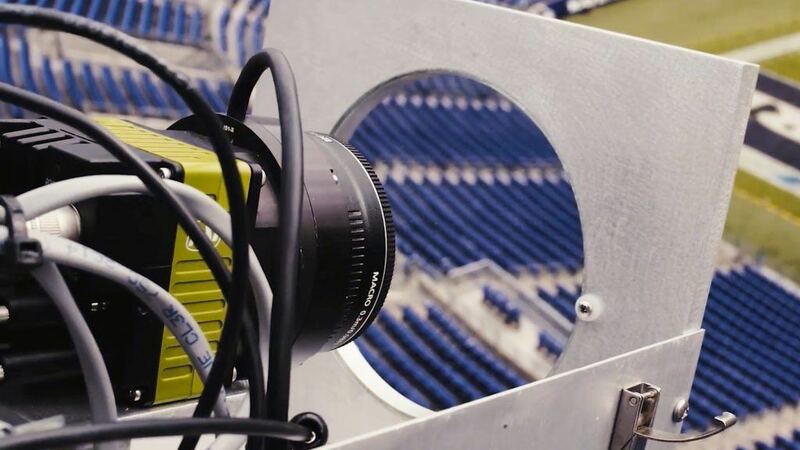 Using high-performance computing, Intel True View transforms massive amounts of volumetric video data captured from 38 5K ultra-high-definition cameras into immersive 3D replays of the game’s biggest moments. 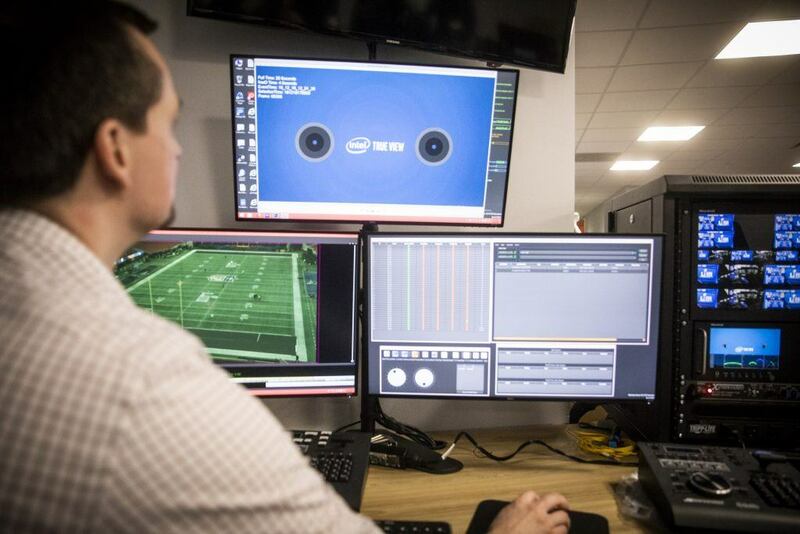 Intel True View content is accessible via NFL.com/trueview, the NFL app, the NFL channel on YouTube* and other endpoints across the NFL and participating teams. 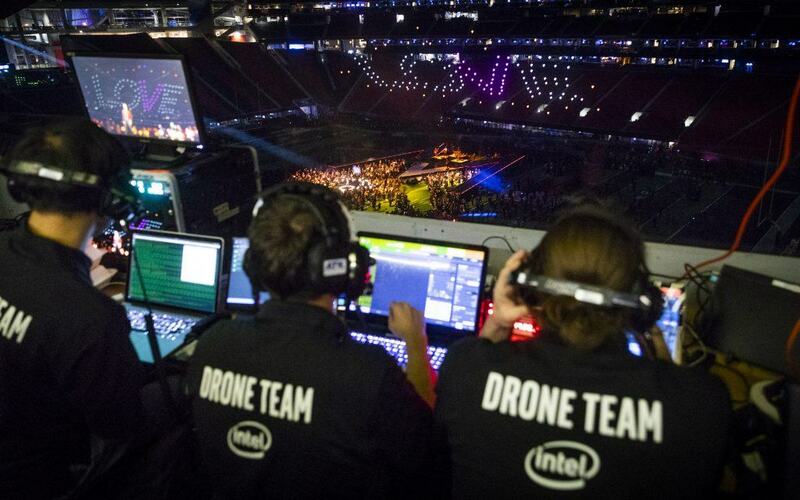 Drone light shows and Intel True View are part of Intel’s larger effort to deliver powerful, innovative technologies that enable the rich viewing and entertainment experiences of the future. 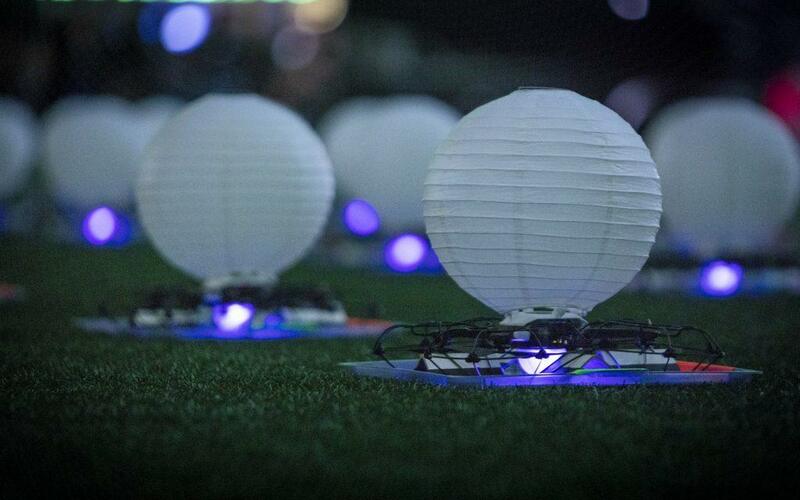 For more information on Intel’s drone light show, visit Intel’s drone page. 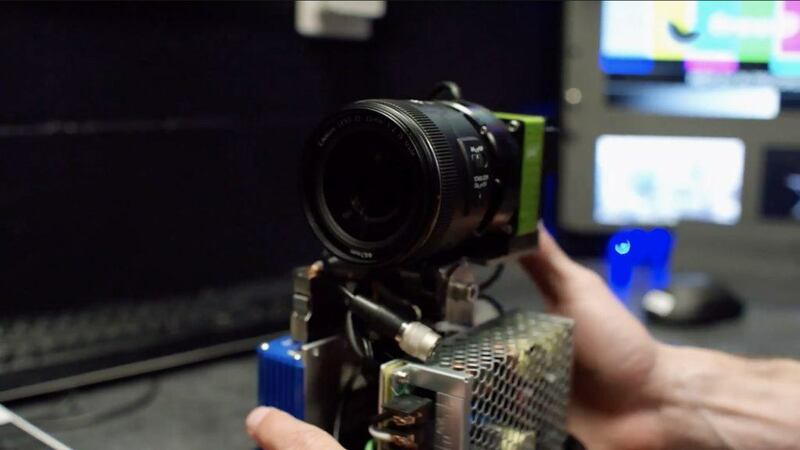 For more information on Intel True View, visit Intel’s True View page. The Pepsi Super Bowl LIII Halftime Show was consistent with the temporary flight restrictions in effect during the game. 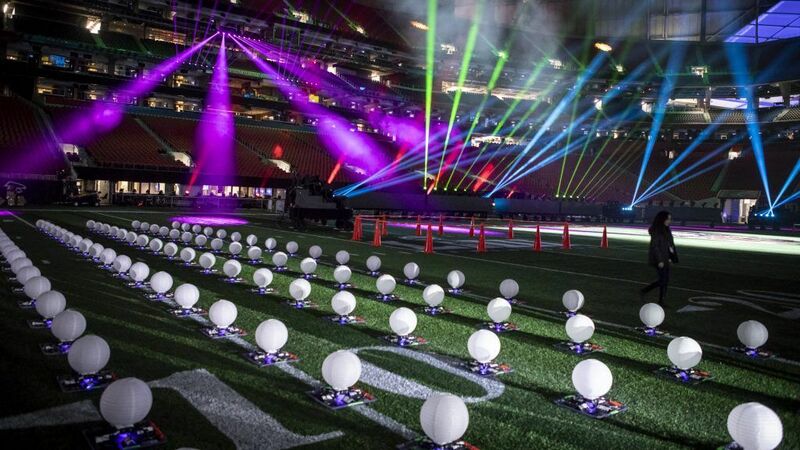 The Intel Shooting Star drones appearing during the show were specially preprogrammed to fly and remain within the stadium, and therefore did not enter the controlled airspace over Mercedes-Benz Stadium. 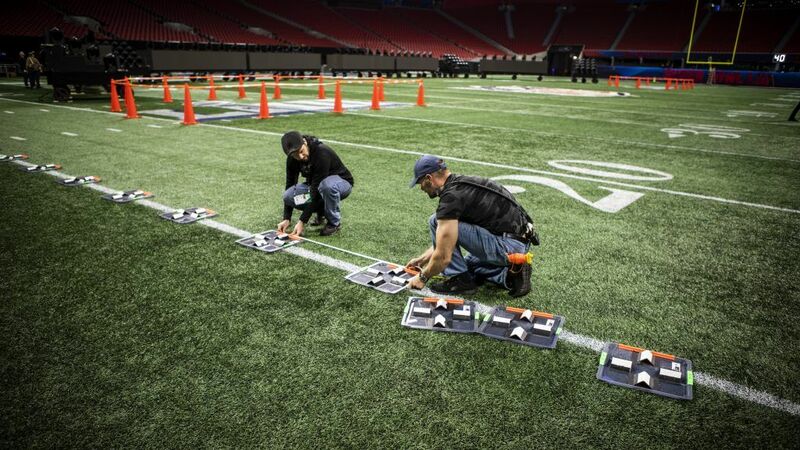 The Intel Shooting Star drones appearing during the Pepsi Super Bowl LIII Halftime Show received authorization to operate under an experimental license issued by the Federal Communications Commission in compliance with federal regulations. This model of the Intel Shooting Star drone has not received final certification from the FCC and may not be offered for sale or lease, or sold or leased, until final certification is obtained.